Home Staging Business Course – Southwest & Mountain Regions – Coming to YOU! 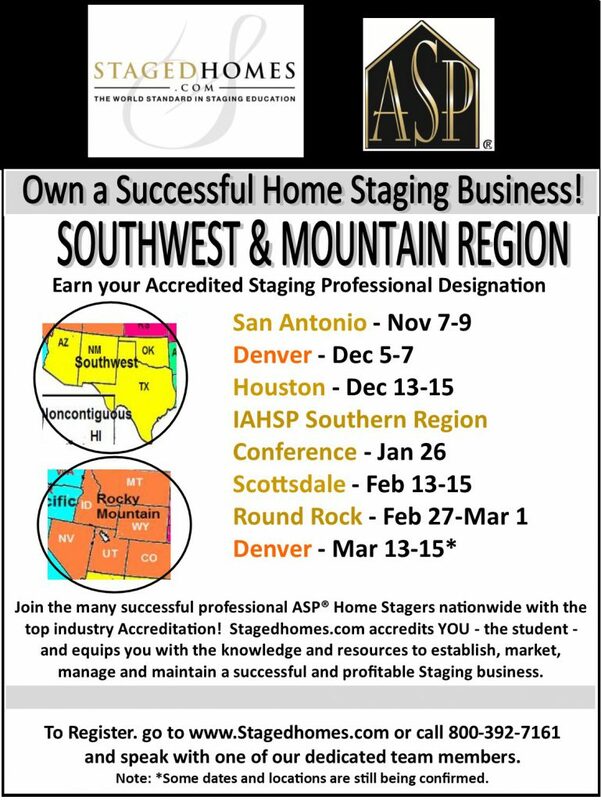 If you or someone you know wants to own and operate a successful Home Staging Business, get enrolled in the Accredited Staging Professional (ASP) 3 Day Home Staging Business Course! You will be so thankful you did! No guessing at what to do to get business. No wondering how you should price your services. No floundering as you get started. You will be equipped with the knowledge, confidence and resources you need to be successful long term in this industry! For more information, call 800-392-7161 or email [email protected]. Make sure to ask about our special GRANT PROGRAM that helps you afford training!